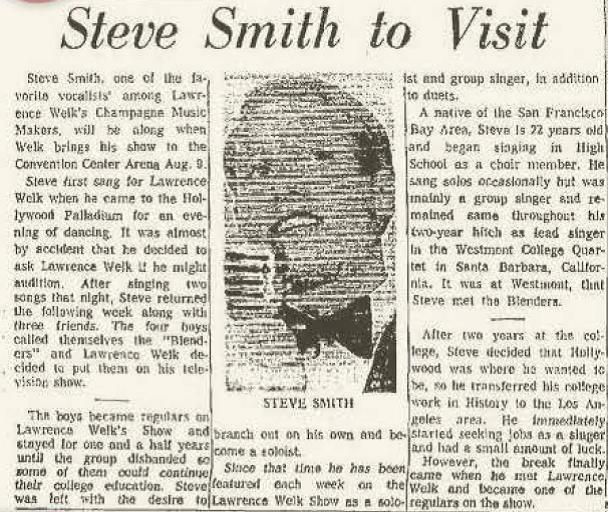 Steve Smith originally joined the Lawrence Welk Show in 1965 as a member of the Blenders. After the Blenders broke up, Smith stayed on with the Show from 1967 to 1969. Smith was born and raised in San Francisco on May 30, 1945. While attending Westmont College in Santa Barbara, Steve hooked up with fellow students Bob Duncan, Greg Dixon and Johnny Johnson to form the Blenders. After discovering their talent, Welk invited them to join his show in Hollywood, which they did. While on the show, he dated both Jo Ann Castle and Cissy King. After leaving the Show in 1969, Smith decided to finish college. 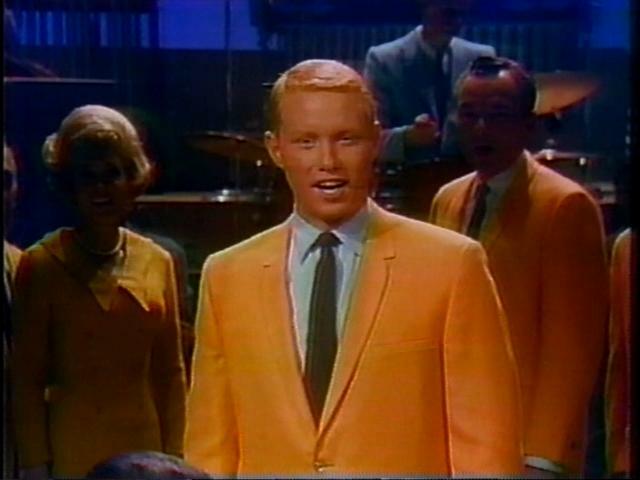 Afterward, Steve went back to show business, performing with the Tommy Dorsey Orchestra as well as serving as a studio singer for the Carol Burnett Show in the 1970's. From 1982 to 1998, Smith and Duncan were members of the Diamonds, which Duncan purchased the rights to after the death of John Felton in 1982. Steve is also a successful businessman and he and his wife, Hope, own and operate the Sierra Sky Lodge, a popular vacation spot, in Cromberg, CA.